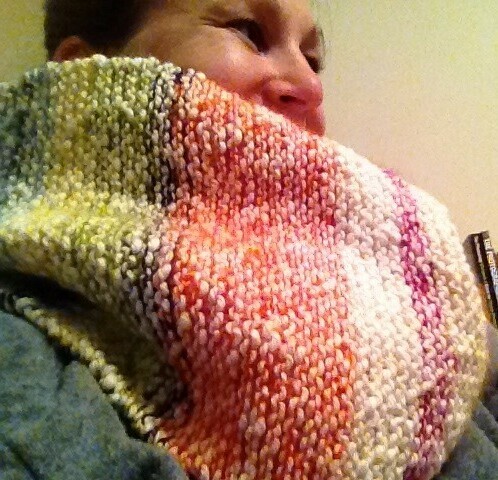 My Striped Linen Cowl is complete. 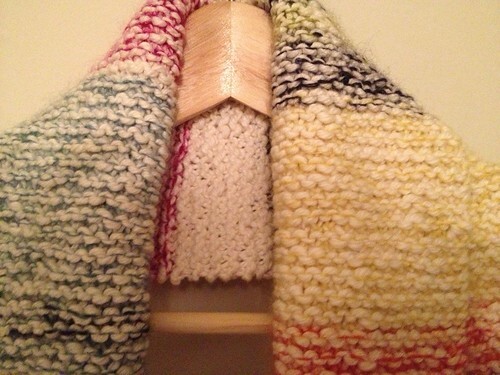 I followed the directions on Purl Bee for their Striped Cotton Cowl, but rather than cotton I used linen yarn and rather than thread I used silk yarn for the colors. I need to work on my timing. I think this would be a perfect addition come February and March when you really want it to be warmer spring weather, but it is still just cold. I guess I’m ready for next year. 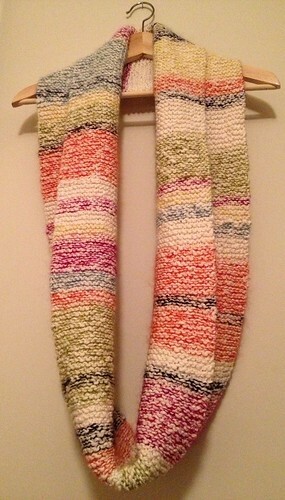 I really liked this pattern and highly recommend. 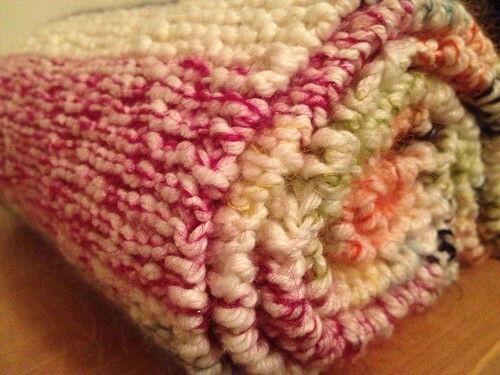 I had a little trouble with Purl Bee’s provisional cast-on tutorial since I don’t know how to crochet so I used this tutorial instead. 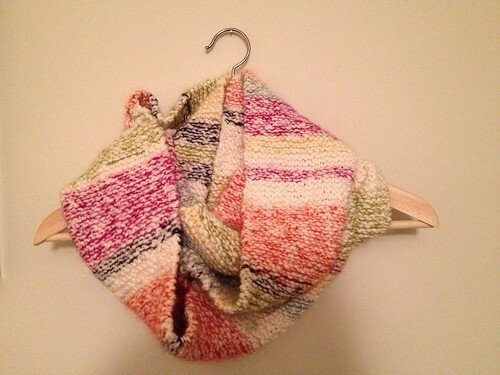 This entry was posted in Knitting and tagged Knitting, Scarf. Bookmark the permalink. I know I say that everything you make is my favorite thing that you have made, BUT this might be my favorite thing that you have knit! I’m obsessed with it and can’t wait to see it in person.